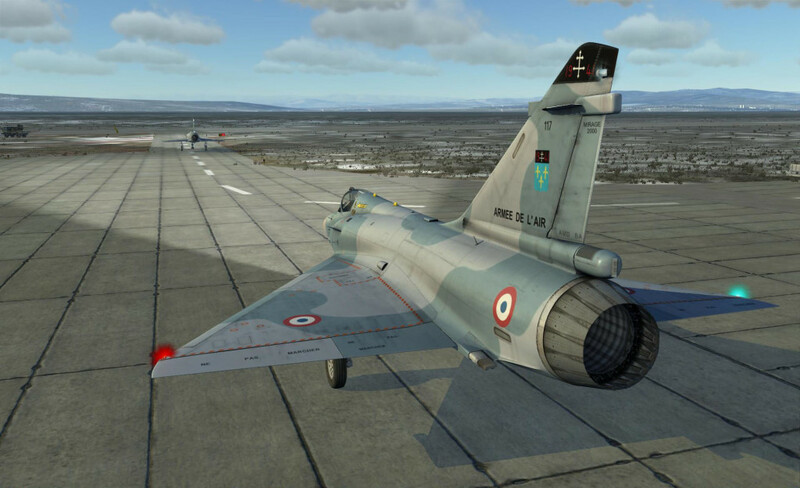 Since the initial release of the Mirage 2000C module for DCS World, Razbam has continued to add functionality and squash the bugs typical of a beta, continuing their steady march towards a final release. 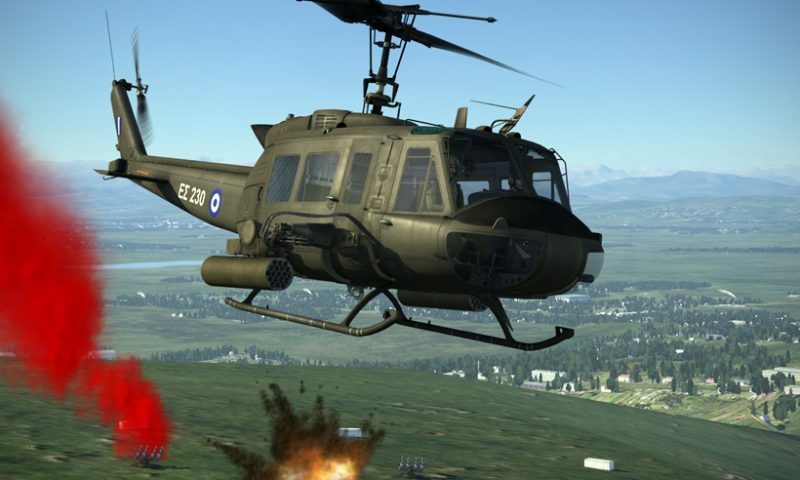 While technically still in beta at the time of this writing, the product is in a pretty good state, but it takes more than just a module — even a well-developed one — to fully experience DCS World. As the saying goes, ships weren’t meant to stay in the harbor — a good combat flight experience is needed to really enjoy all that le Chasseur has to offer. 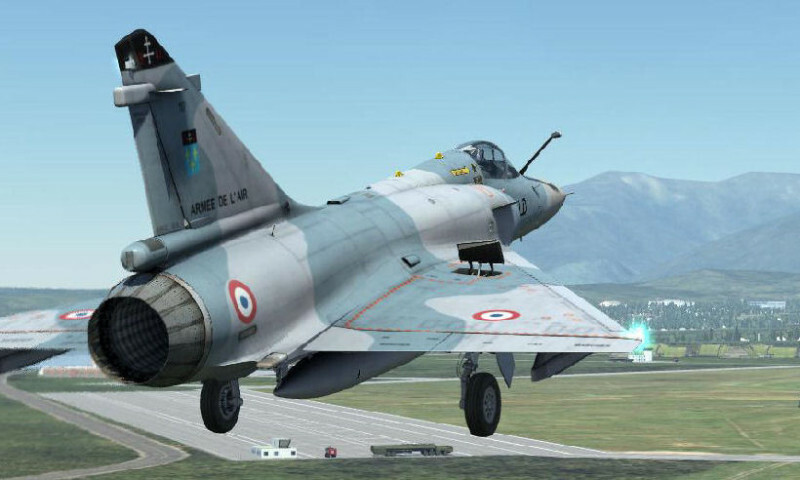 Baltic Dragon (yes, that Baltic Dragon) has given me an advance copy of the campaign that he has crafted for the official release of the Mirage 2000C — there are no spoilers in this article! — that puts the Mirage through its paces. Two hunters, ready to begin their prowl. Note: As with all previews, the final product may vary from what is shown and described here. All observations, mistakes, and errors are solely those of the author. Baltic Dragon is known for high-quality and it doesn’t take long to see why. 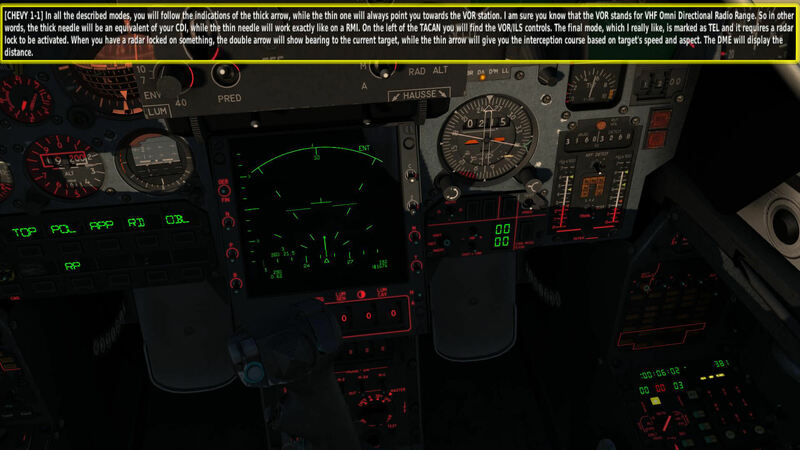 Interesting and well-thought out story lines are executed via delicately crafted and linked triggers, an incredible feat in and of itself which you DCS World mission designers out there can really appreciate. Radio F10 menu items are used to interactively progress along the conversation, delivered with a combination of text and radio messages to really give the feel of a two-way conversation. Text instructions are given with high-quality voice delivery – and are even technically accurate! 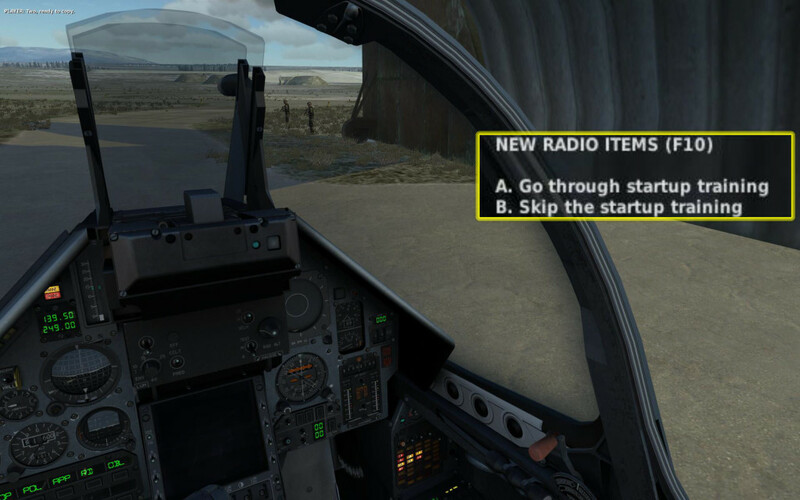 A decent but not overwhelming amount of F10 Radio menu items let the player interactively move the story along. 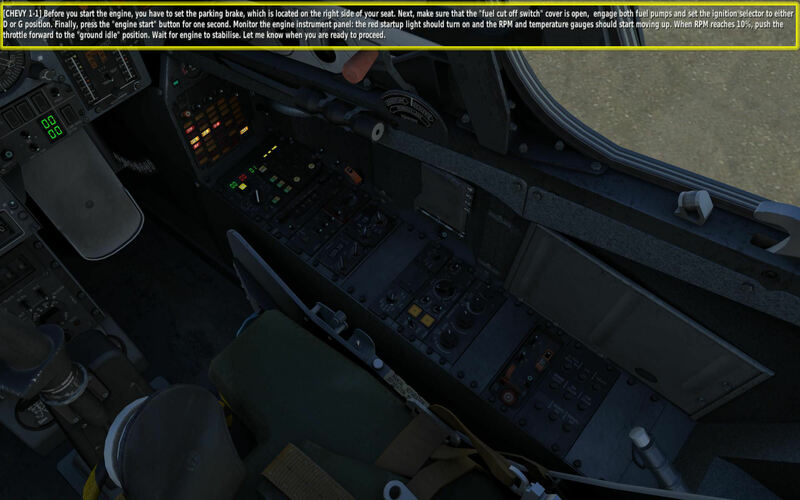 Radio chatter and banter between the different in-game characters helps immerse the player, as well as keep them interested during the more mundane parts of the mission. 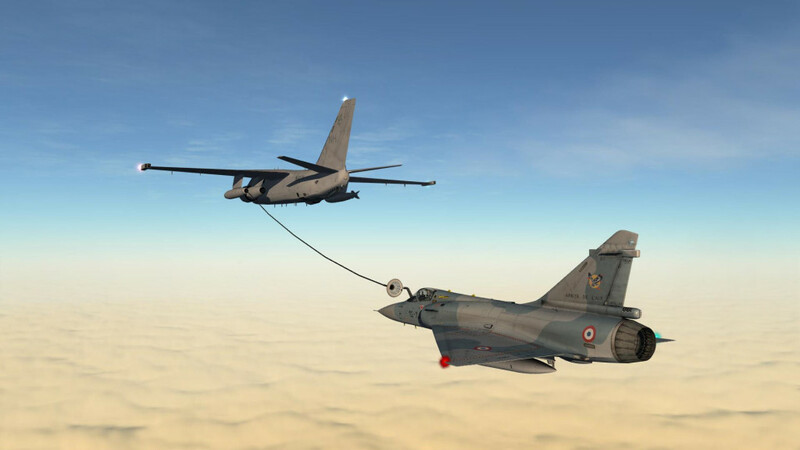 The story is that two American pilots have joined a French squadron of Mirage 2000Cs in a Pilot Exchange Program. 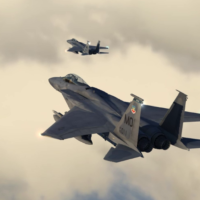 Their squadron has been deployed to Georgia along with other NATO forces to enforce a cease-fire agreement reached with the Russians. It’s apparent from the very first mission that your pilot could use some refresher training. Under this premise, the first few campaign missions are basic area and aircraft familiarization flights — a great way to start a campaign in a relatively new module, IMHO — and slowly ramp up in complexity. Aerial refueling, poor weather ILS landing, radar introduction, dogfight training, etc., are all gently but quickly introduced to the pilot. Here the instructor shows me how it’s done. Detailed radio messages describe how to use the systems in easy-to-understand language. The pace of the training is fast enough to keep you in the action, but delivered slow enough that you don’t feel like you’re trying to drink from a fire hose. The dual delivery — voice and text — gives you the option to hit the pause key and really soak in what the instructor is communicating, if you’re having difficulty keeping up. You gotta be quick on the pause button, though, as there’s no message log you can scroll back through: once the message is gone, it’s gone! 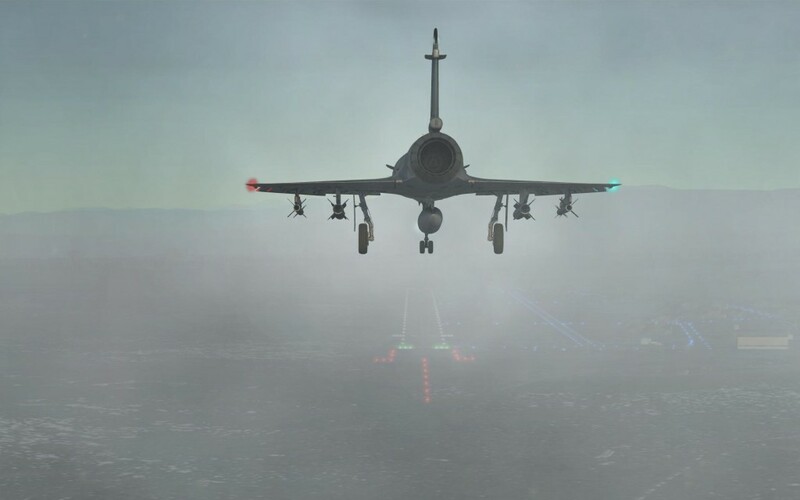 The Mirage 2000C’s instruments make low-vis landings a snap. Something to note about trigger-based missions: despite the most careful mission design, it is always possible for a player to get far enough off the planned route that mission progression breaks, and suddenly the careful script goes off the rails. Since the DCS campaign system will ding you for failing a mission, even if it’s because you missed a trigger, you will want to carefully read the clearly stated mission briefings and follow instructions given to you in the air. The good news is that the briefings are fairly detailed and the in-flight instructions pretty clear — you’ll just need to pay attention and possibly take some notes (“Wait, did he say turn back to WP3? or WP4? … uhhhhh …”). Although familiarization is an important aspect of the first few missions, it would be wrong dismiss this portion of the campaign as “just boring training flights.” Baltic Dragon does a superb job of building a story: tensions build as the Russians blatantly disregard territorial boundaries, SAM sites start popping up too close for comfort, etc. … things just never stay quiet long enough to be boring. “Snow Drift” is the NATO name for the SA-11 search radar, and the term has been known to loosen bowels. The intrigue and tension escalates, mission by mission, leaving you wondering what will happen next. I won’t spoil the details, but it’s a Clancy-esque thriller that will keep you on your toes! 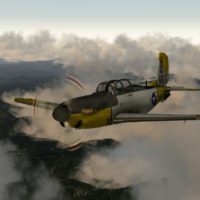 In addition to having a well-written and meticulously designed story sequence, there is the added benefit of flying a beautiful aircraft in an beautiful environment. 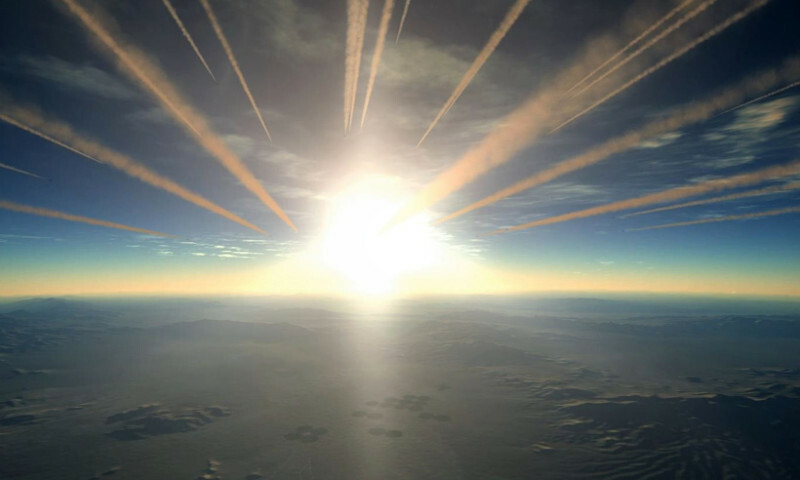 To add immersion, AI aircraft populate the world: drawing contrails in the skies above out and filling the radio with believable chatter. Even ground units are seen bustling about the airfields as you taxi to or from the runway. Attention to details like these really help sell the experience of being part of a larger picture. Overall, Baltic Dragon’s mission set is great and rivals the quality of other paid DLC materials. Seasoned Mirage pilots may find the training aspects of the missions dull, but the story that unfolds is familiar without being cliché, and is quite engaging. 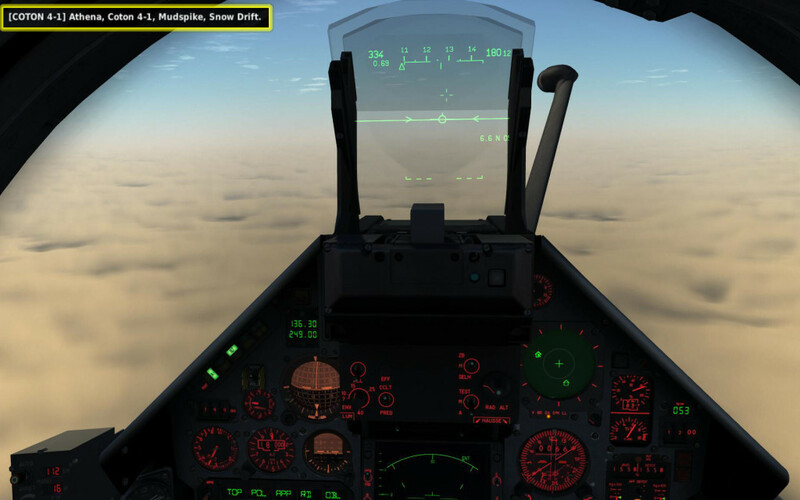 The environment is well-stocked with AI and radio chatter, successfully immersing you in a living world. The careful structure of triggers, even in this preview copy, were robust enough to handle most normal pilot variations, and the voice acting is top notch throughout. The training value of the campaign cannot be undersold either — those who need to do in order to learn will really enjoy this presentation of the materials. 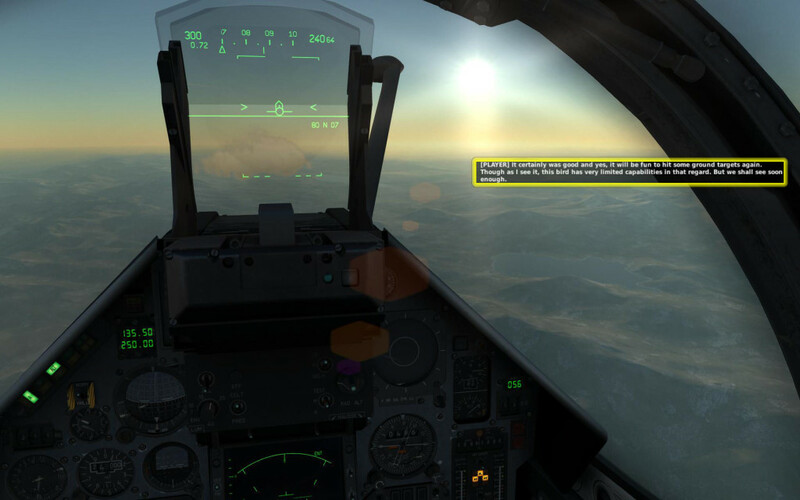 On that note, Baltic Dragon is also working the interactive training missions for the Mirage 2000C, which include some of the material in this campaign, but also dive more in depth to the systems which are just to complex to address as a side mission in a campaign, such as the INS. If you’ve purchased the Mirage module already, you can look forward to an engaging campaign when the product finally goes beta later this year (two weeks?). If you’ve been holding out, remember that the price of the Mirage module includes a high quality campaign package: no additional charge. As for me, I’m now even more excited for the Mirage release and can’t wait to see what Baltic Dragon does next! Nice! I am really looking forward to this. I have been loving the Mirage even in its beta state! Bought the Mirage 2 weeks ago, and enjoy it so far (Chuck’s excellent guide helped me out even further). But a campaign will be really the icing on the cake. And a little cherry on top! Thanks for the preview.